If I've left anything out, please let me know! $3700 OBO, NO TRADES PLEASE. I've found my next project already. Located in Knoxville, TN. Will meet as far out as Atlanta or some parts of southwest VA, like Bristol, etc. Been a while since I've posted or sold on here. 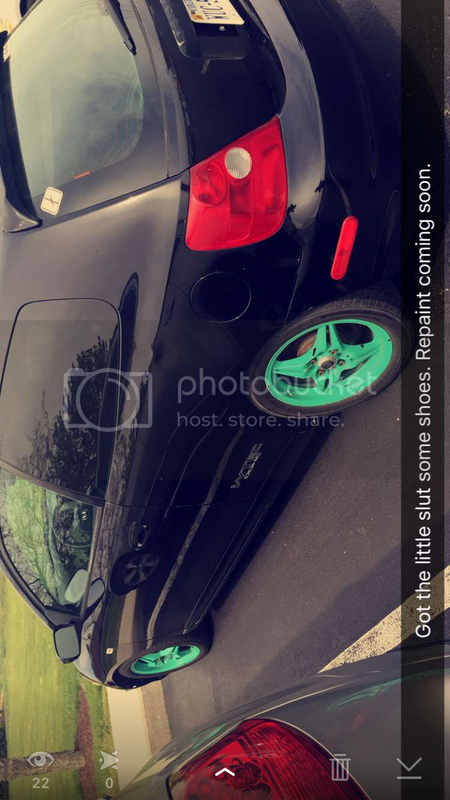 I've got a little EP3 here that needs a new home. I picked it up from my friend a while back who basically drove it a few miles a day for almost four years with the intention of swapping or something similar, but alas, I hear another EG calling my name along with wheels for my 370z. This car is pretty much as stock as you could ever find one, minus a few of the typical entry-level mods. It runs like a top and is eager to take you to work every day! Bone stock under the hood, just air intake. Rota Auto-X wheels with good tires. Mint colored, bought them that way. Need better paint. AC blows ice cold, hot heat. Pioneer head unit with AUX, all speakers work. Interior is very clean and no rips/tears/smells. Does have a few dents and dings from daily status. Dent the size of your fist in driver fender and rear quarter. Wheel bearing makes noise, although I'm probably fixing that this week. Paint on hood has peeled in places. Some scratches, etc over rest of the body. As I said, mechanically she's flawless, just needs some TLC on the outside. Previous owner was great with his maintenance upkeep but not so much with washing/maintaining the exterior. I have many papers and receipts for work done and I believe a couple quotes for fixing of the body defects, which I can search out and send to interested parties. I'll take more pictures under the hood and of the defects after work today to ensure everyone is clear on the defects I've referred to. They're both from his wife backing into him, not from accidents or altercations, and I do have a clean title in hand for this vehicle. 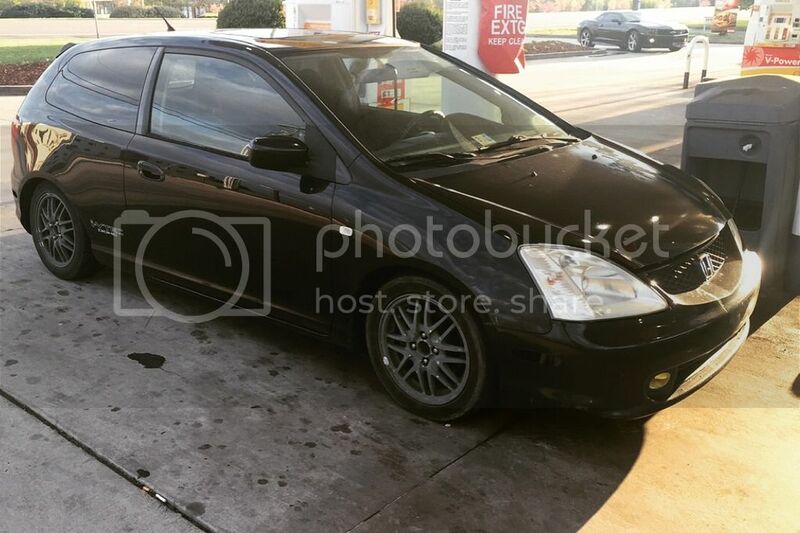 Re: 2002 Civic Si EP3, cheap daily! 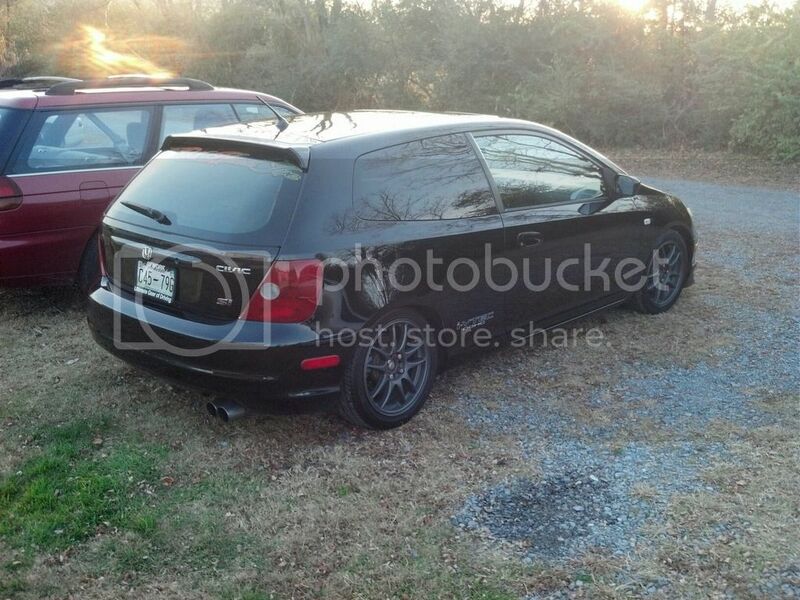 BUMP, I HAVE THE CAR BACK AND IT"S FOR SALE AGAIN! SOLD, PLEASE LOCK THREAD. Thanks VADRIVEN! 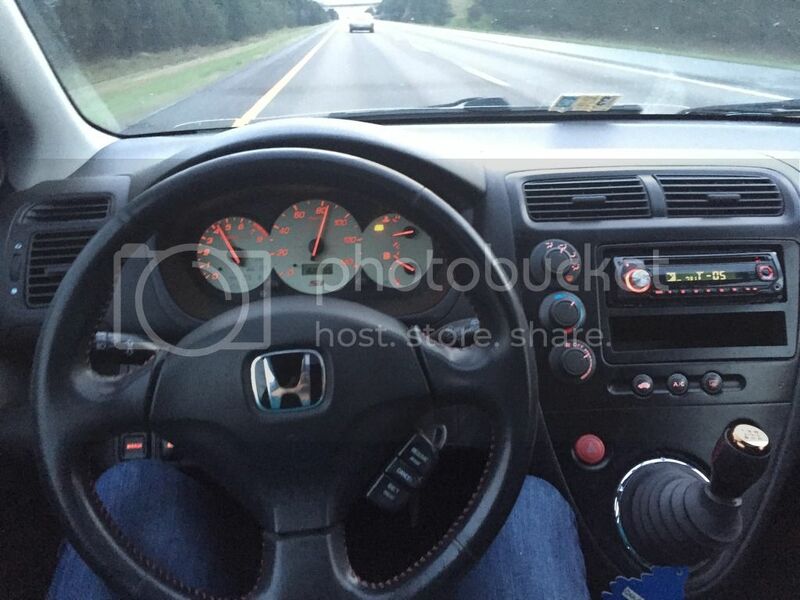 Quick Reply: 2002 Civic Si EP3, cheap daily!